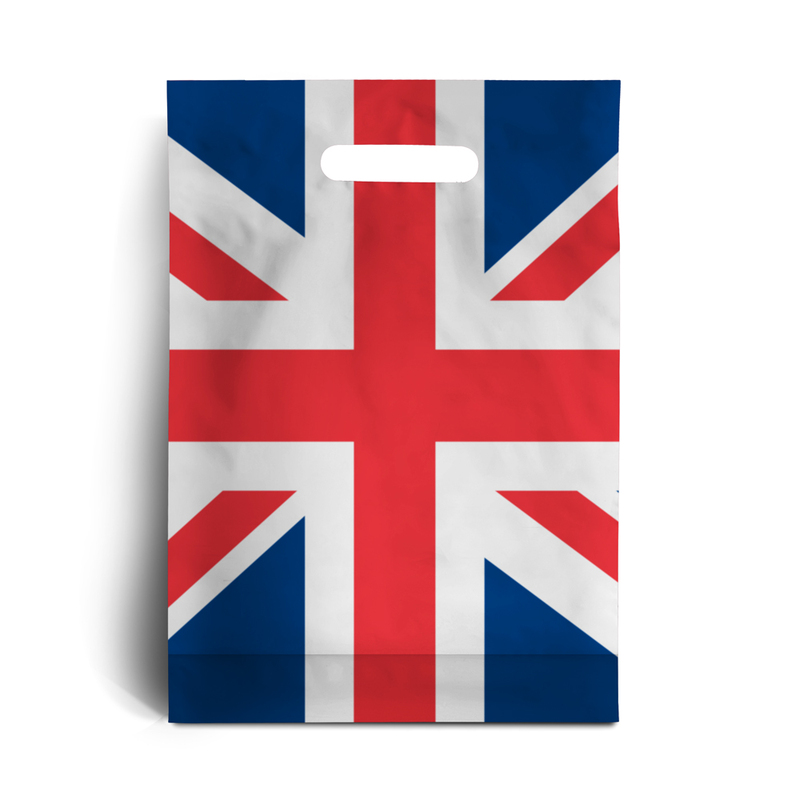 Celebrate our multi-cultural Britain with our iconic Union Jack design plastic carrier bags will add some patriotic flair to your customer’s purchases. Get ready for this years Summer events in style! Made from a LD plastic film. 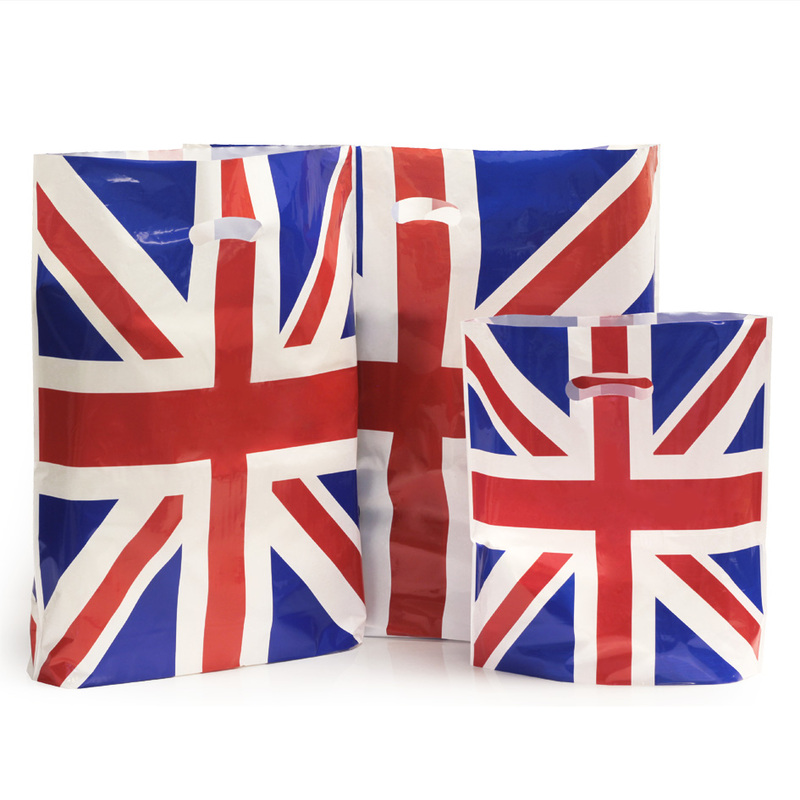 Bags are suitable to hold up to 2-4 kilos in weight. Perfect for boutiques, clothing outlets and other retail stores.